If you encounter any bugs, please let us know and file a report. Thank you! 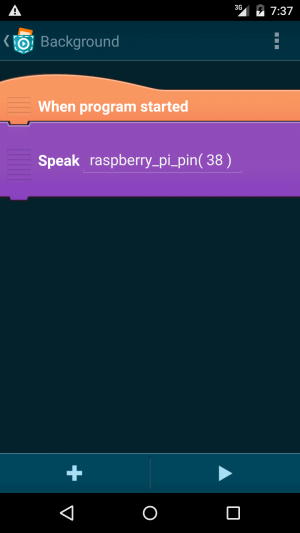 For the following steps, you either have to enter the following commands in the terminal of your Raspberry Pi using a keyboard and a display, or you can connect to your Raspberry Pi via SSH from your computer or phone. The installer downloads the server and installs everything. 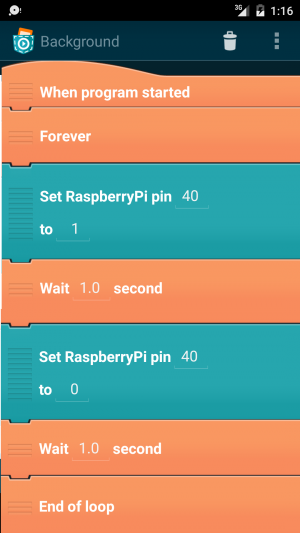 From now on the RaspberinoServer should be ready to use and start automatically when the Raspberry Pi is powered on. To update the server, just run the installer again (Step 2). 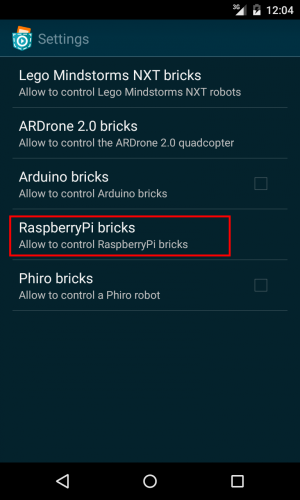 If you haven't already done so, you'll have to enable and configure your Raspberry Pi under Settings in "Raspberry Pi bricks". Otherwise you can skip this section and move straight to the tutorials. 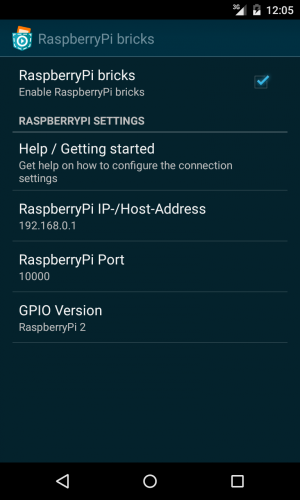 select the Raspberry Pi model you are using. Now you can add Raspberry Pi bricks in your Projects. This section shortly explains the Raspberry Pi bricks. 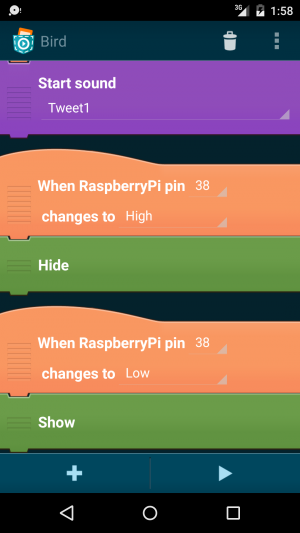 Your Raspberry Pi offers a huge number of GPIO (general purpose input/output) pins. 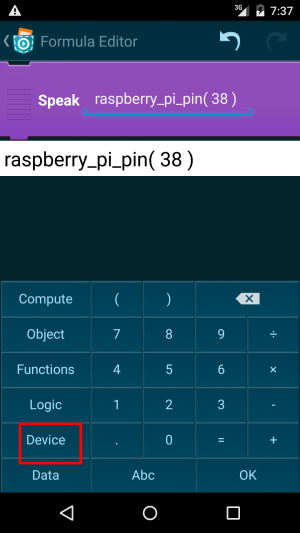 The number of pins available depends on your Raspberry Pi version. 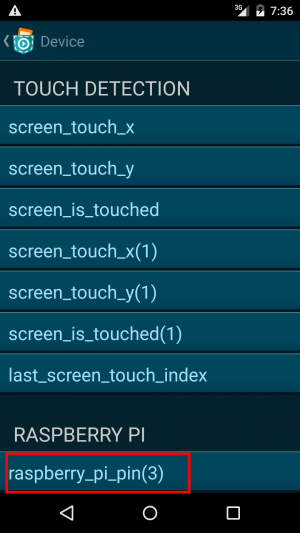 Pocket Code uses the pin numbering of the board layout (the top left pin in pin 1). 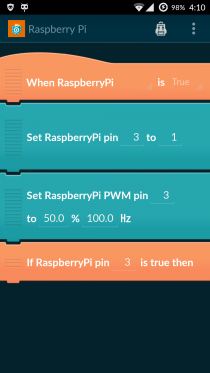 Note that not all pin numbers correspond to a GPIO pin. * this can be used to dim LEDs, control servos, etc. * here you can find an explanation about how PWM works. is another way besides the If Raspberry Pi pin-Brick to use digital inputs. 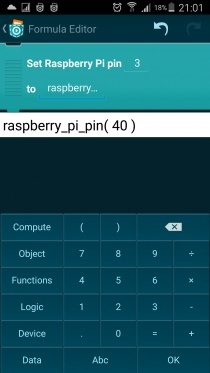 <<<< The example sets the GPIO-output pin 3 to the value of the GPIO-input pin 40. 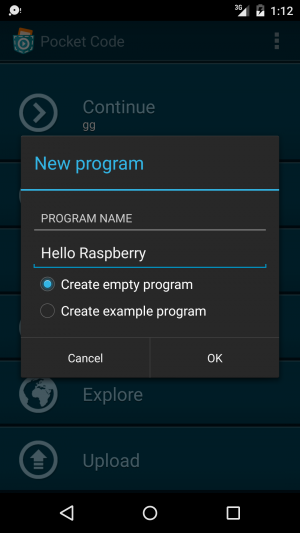 Everyone starts with a simple Hello World program when learning a new programming language. 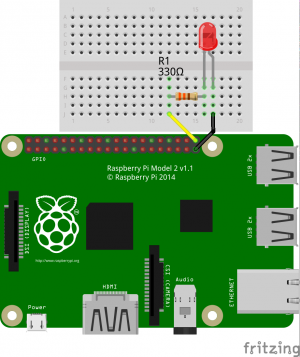 When using a Raspberry Pi, "Hello World" simply means a blinking LED. The LED typically has a longer and a shorter leg. 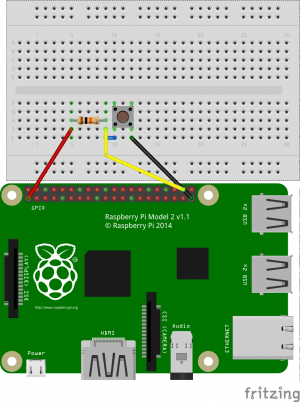 The shorter leg has to be connected to GND on a Raspberry Pi (black wire). The other end of the leg is connected via a resistor (here 330 Ohm) to a GPIO pin (here: pin 40 using the yellow wire). Note that the holes in one line (marked green) are linked together. Finally, press the Play button. If your code is correct and everything is wired correctly, your LED should blink every second. Well done! The previous tutorial turned a LED on and off periodically. If you have done the previous tutorial, you can reuse the circuit for this tutorial. PWM (pulse width modulation) can be used to obtain an analogue behavior with a digital output. This can be used to dim LEDs. If you want to know more about PWM, you can find an explanation about how PWM works here. the same as in Tutorial 1 (blinking light). Now start the program by pressing Play. You can try out different percentages (instead of 50%). 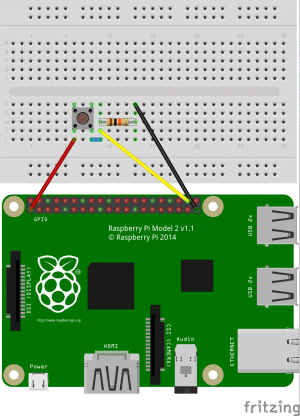 The Raspberry Pi dims the led by switching on and off the LED very fast. A higher percentage means that the time "on" is longer, whereas a lower percentage means that the LED is "off" most of the time. If this happens very fast (here the frequency is 100Hz, meaning that the LED is turned on and off 100 times per second), then the LED is dimmed. 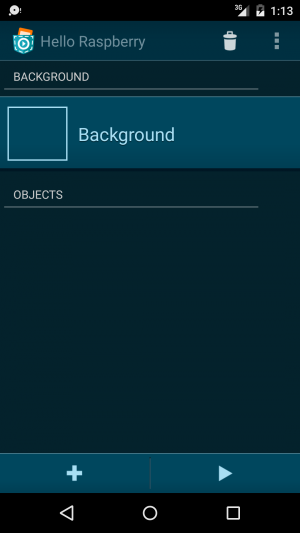 delete the text and click "Device"
In this tutorial, we are going to remix the default Pocket Code program. Whenever a button on the raspberry Pi is pressed, the bird should be invisible, and when the button is released, the bird should be visible again. using a pull-down resistor (first image): when the button is pressed, the input value is high (otherwise low). using a pull-up resistor (second image): when the button is pressed, the input value is low (otherwise high). You can try out both variants if you want and see what the difference is. Start the program by pushing the Play button. Try out pushing and releasing the button.In one situation, the bird will be invisible, in the other it will be visible again, depending on if you have built the circuit with a pull-up or pull-down resistor. If you have created your own exciting projects, please let us know! This page was last modified on 19 August 2016, at 19:55.